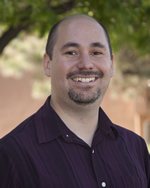 Dr. Gomez joined the staff at Southwest Sciences as a Senior Research Scientist in July 2010. From 2007 to 2010 he was a postdoctoral researcher at Sandia National Laboratories, Livermore. In 2007, he recieved his PhD in Physical Chemistry at the University of California, Irvine. Dr. Gomez is an author of 10 publications and has 1 patent pending.